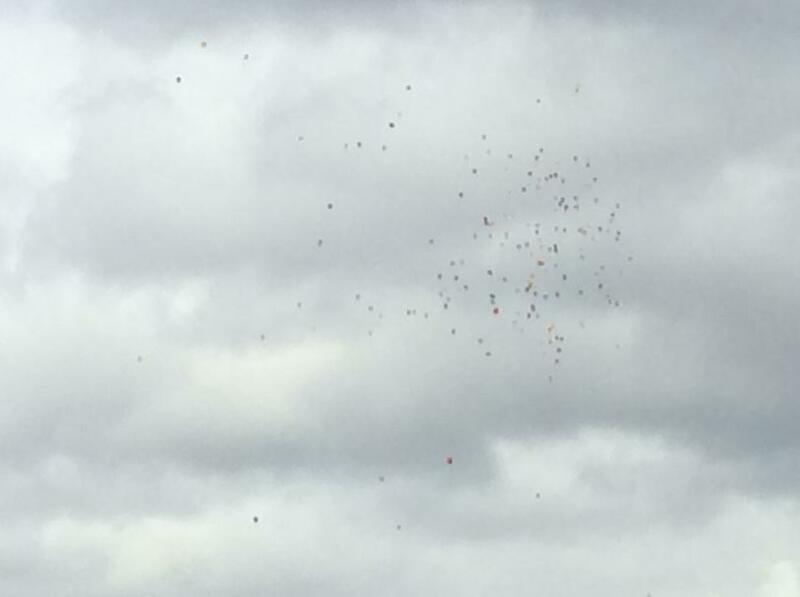 Today we released over 200 balloons to mark the 50th anniversary of Holy Cross. 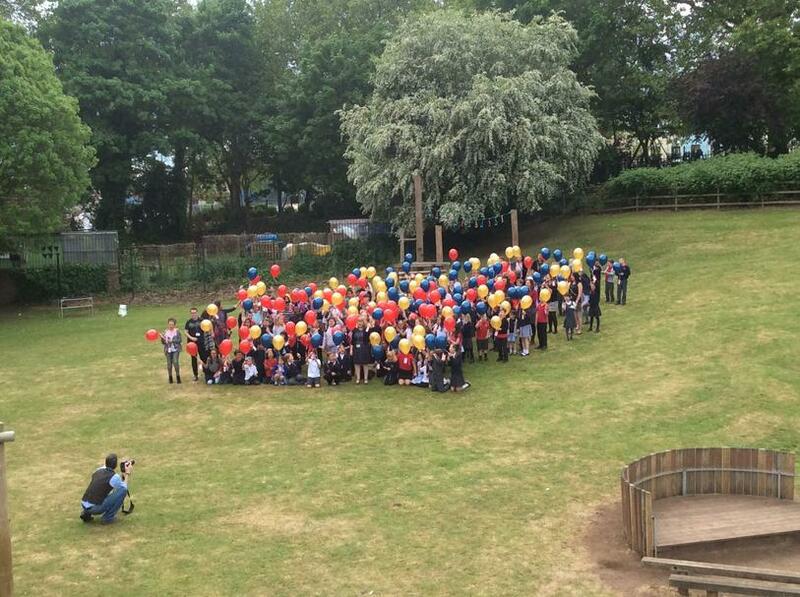 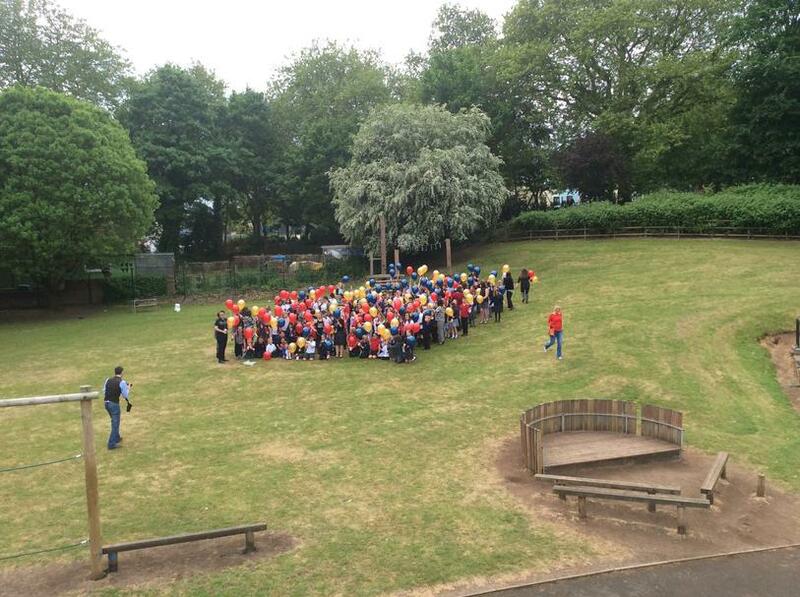 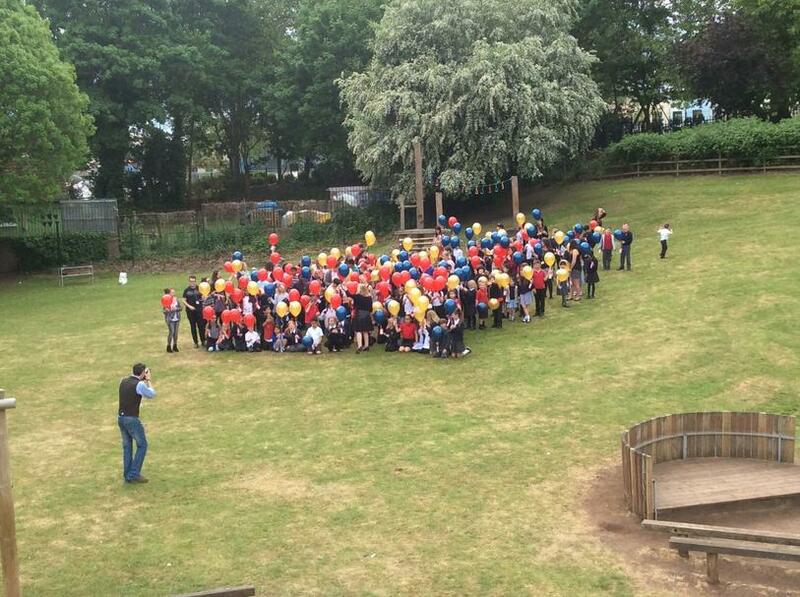 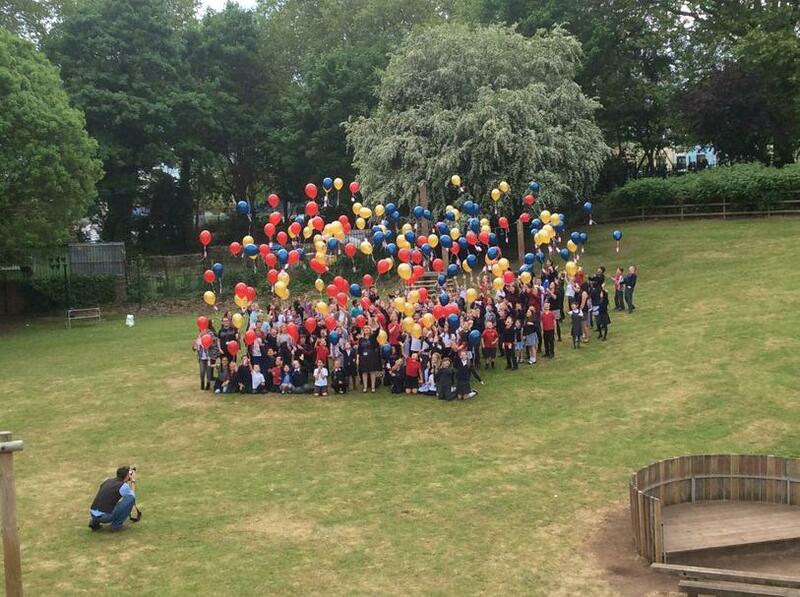 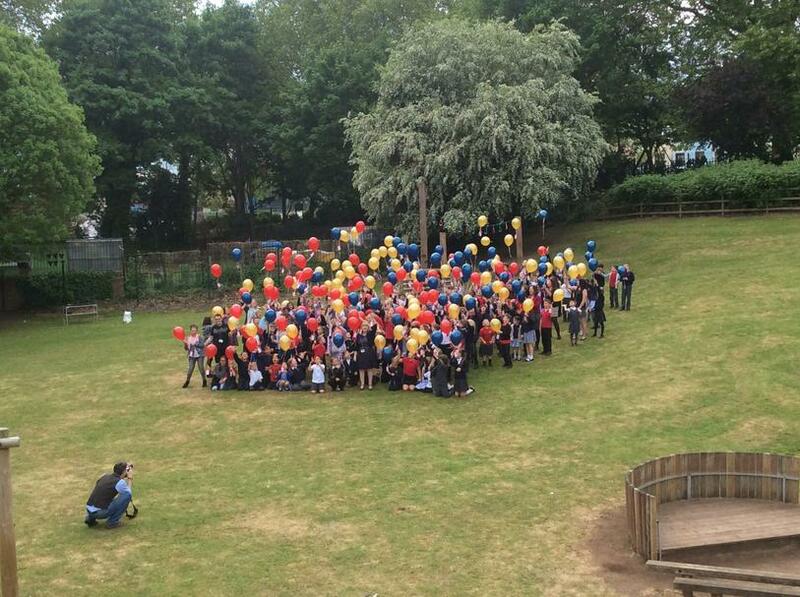 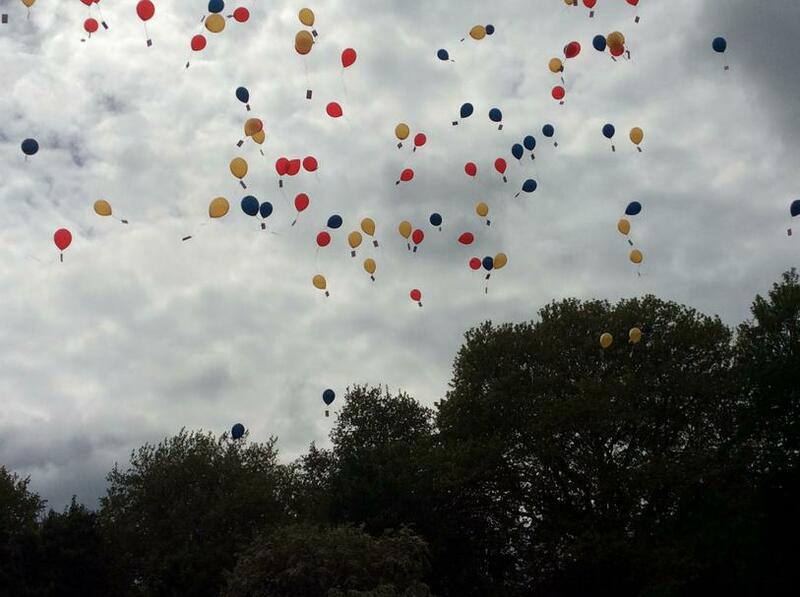 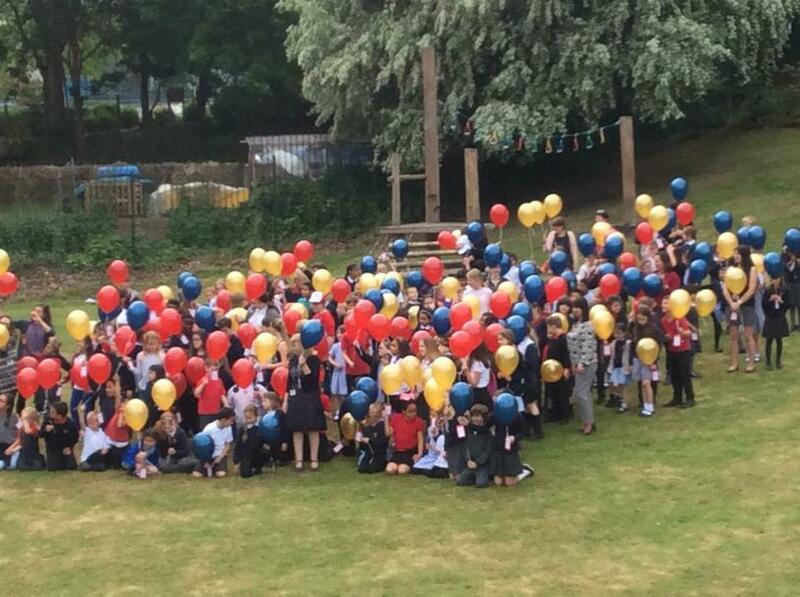 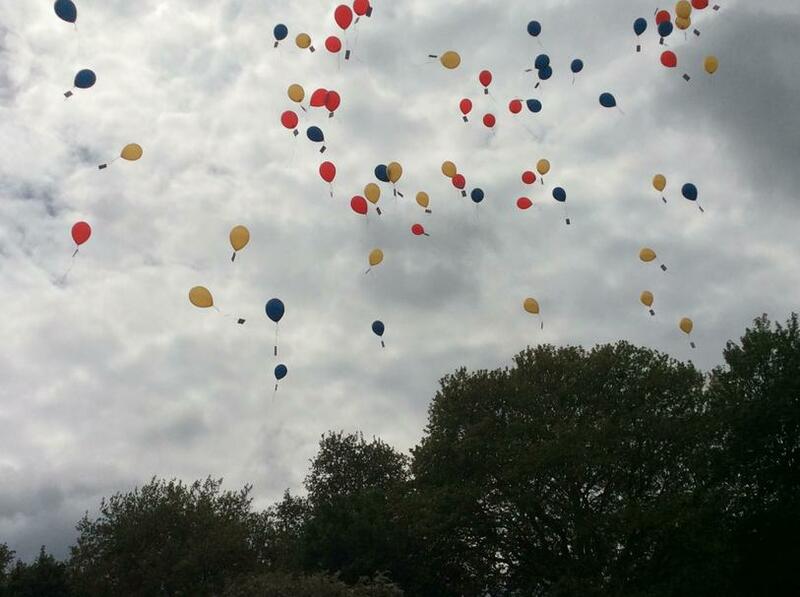 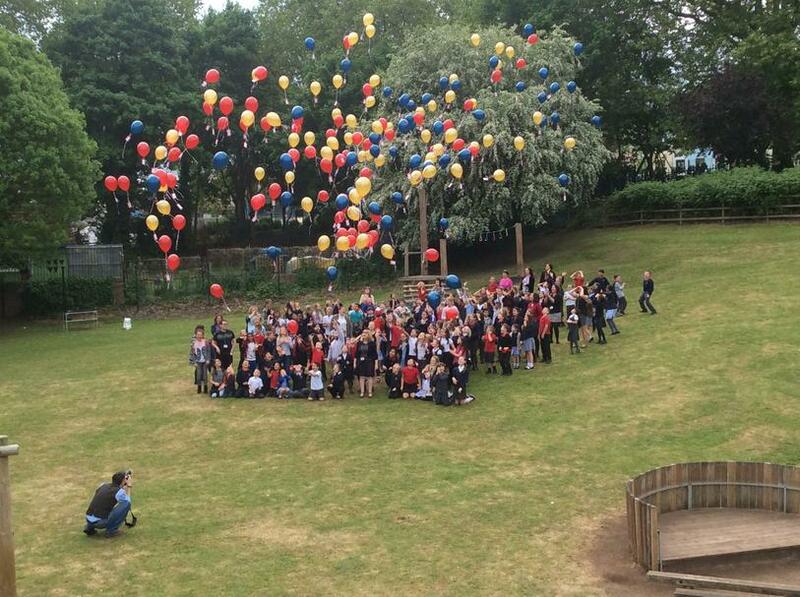 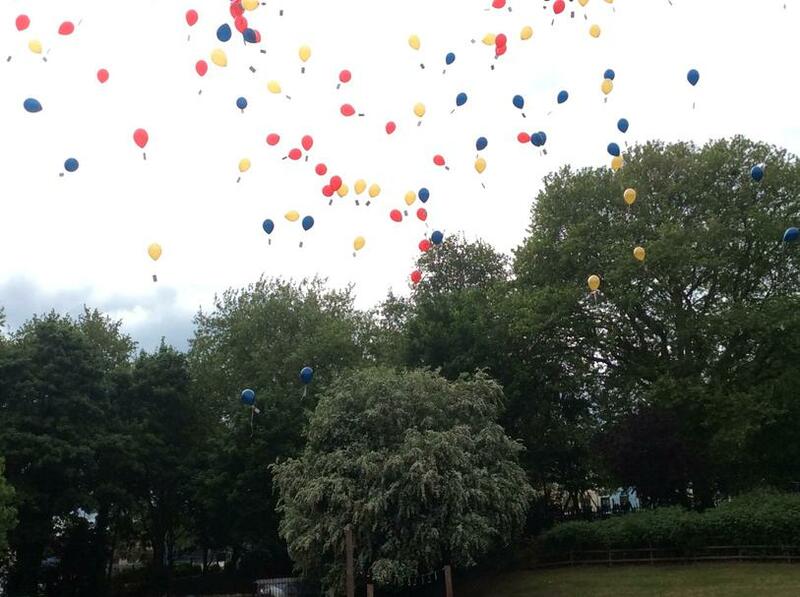 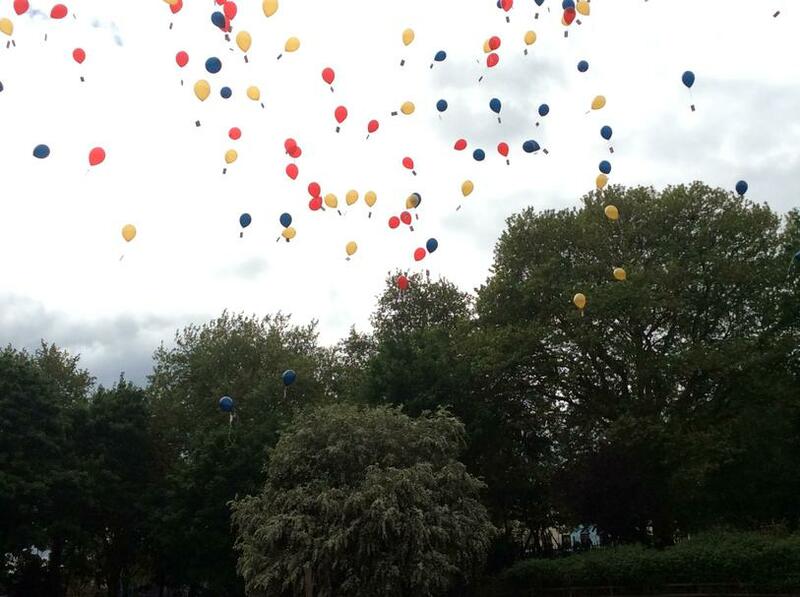 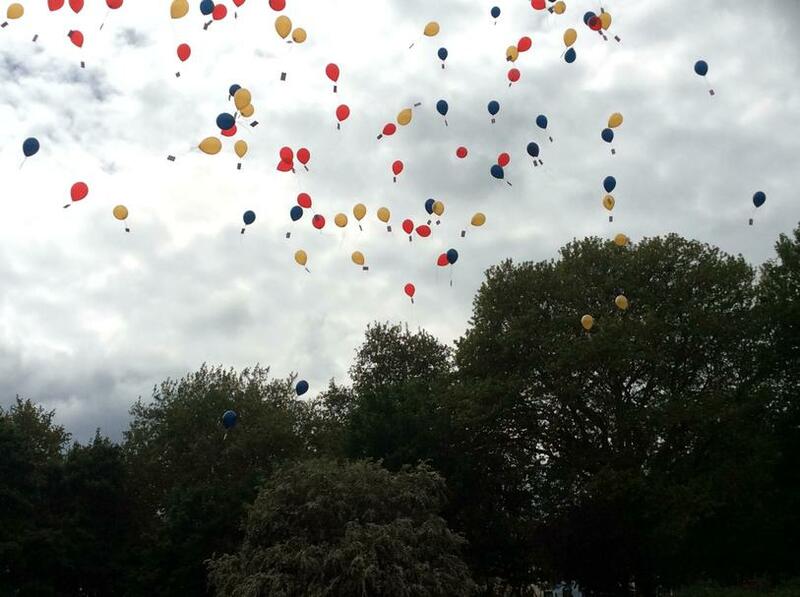 The red and blue balloons represent our school colours and gold is used to mark a 50th anniversary. 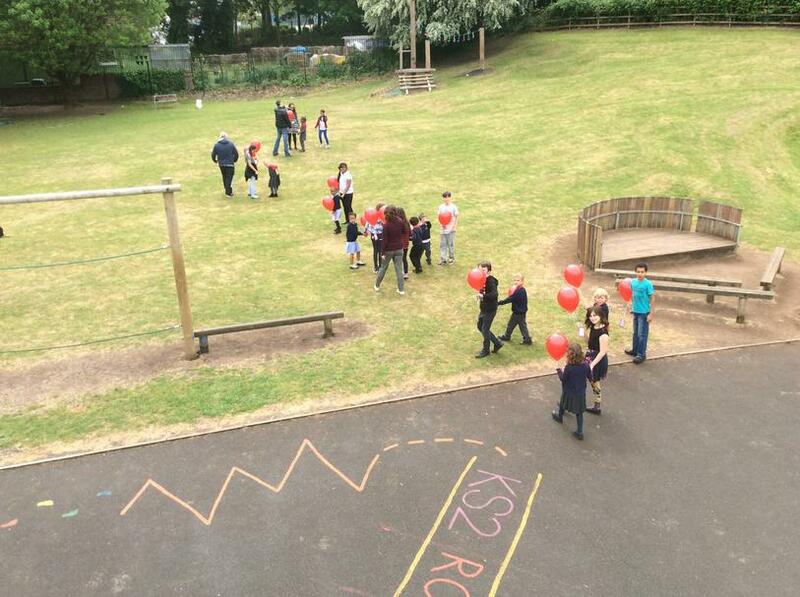 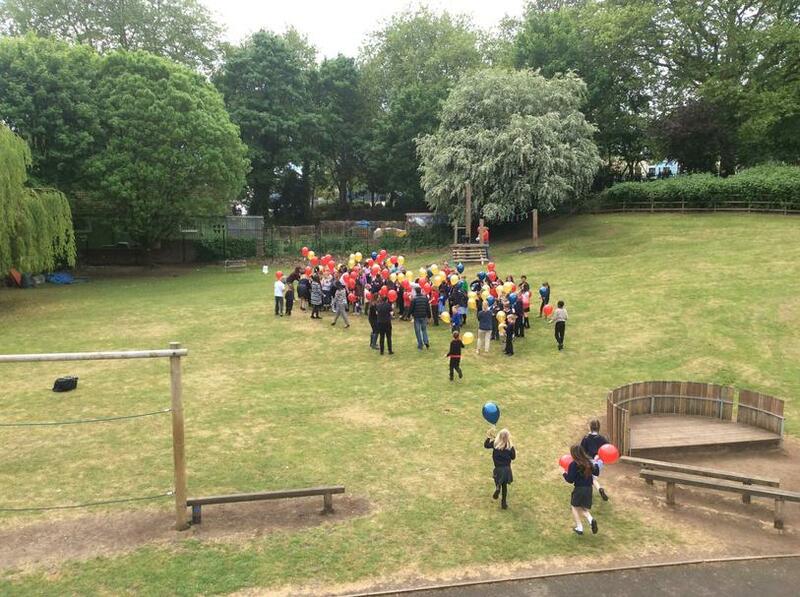 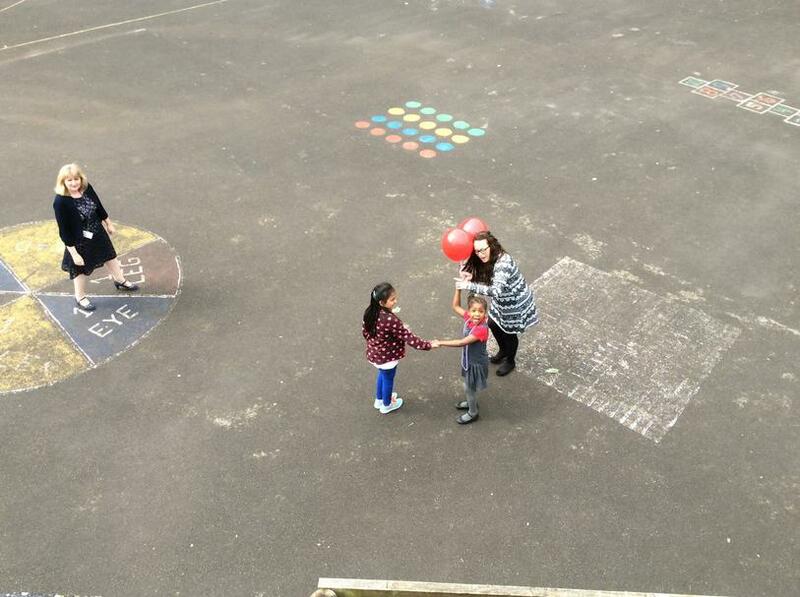 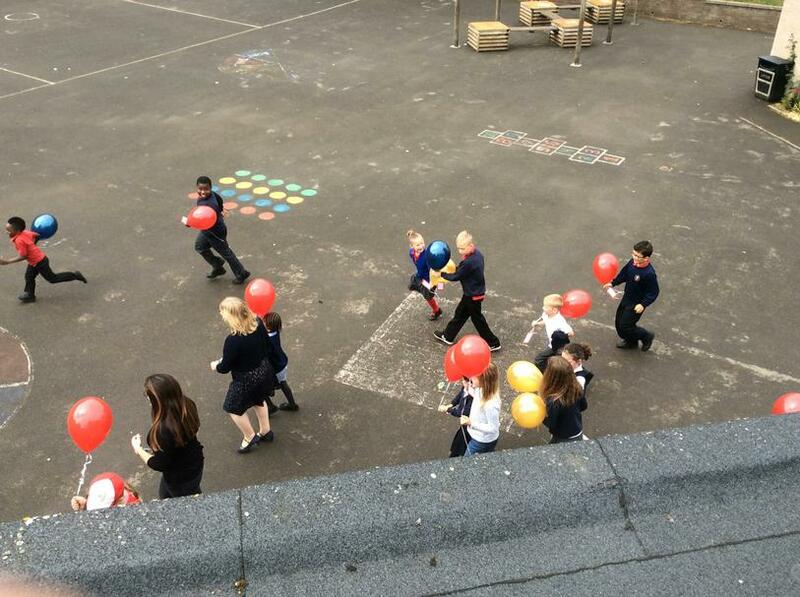 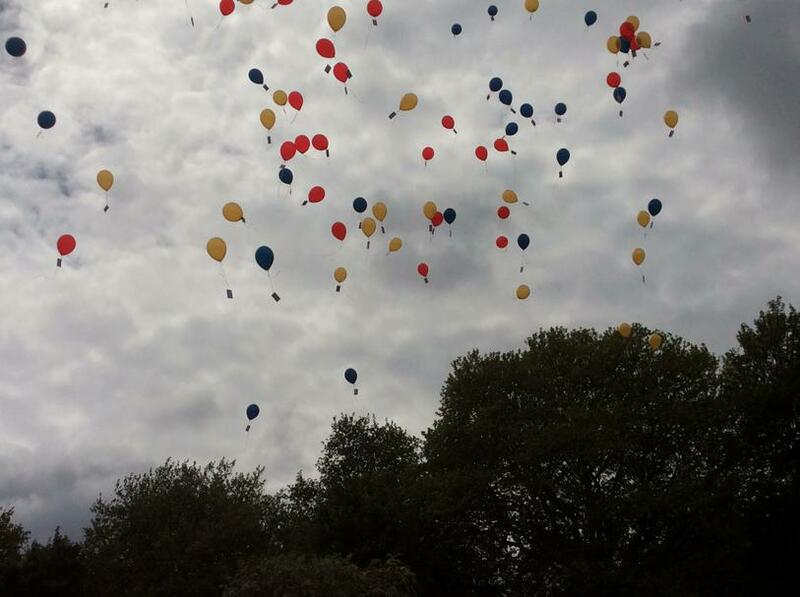 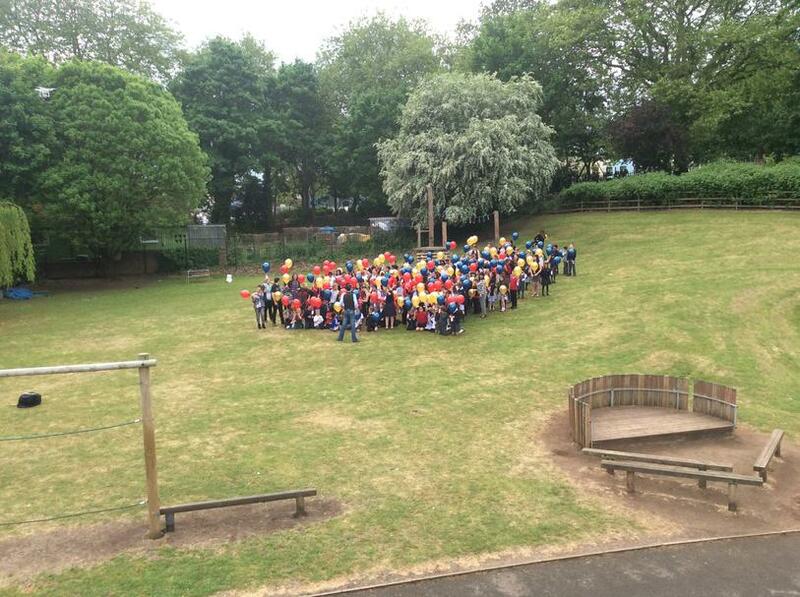 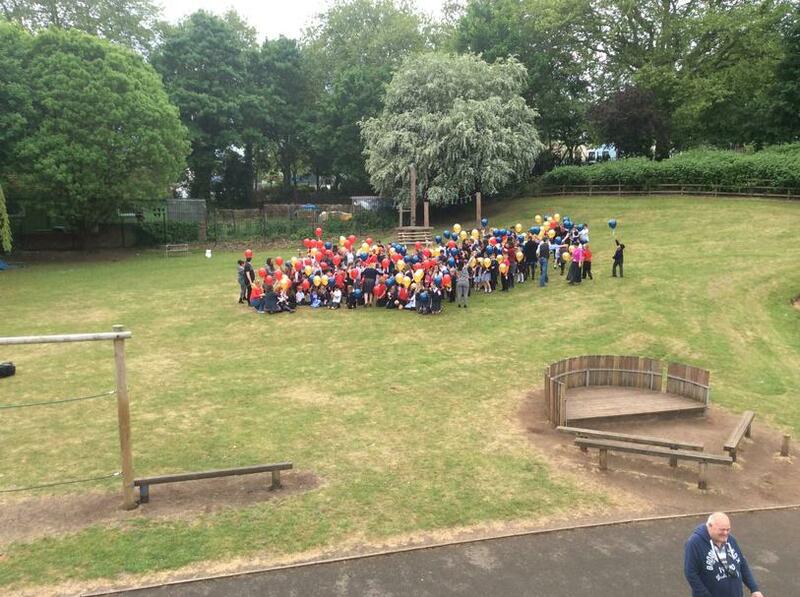 Each child had a balloon with their name, class and school address written on a postcard. 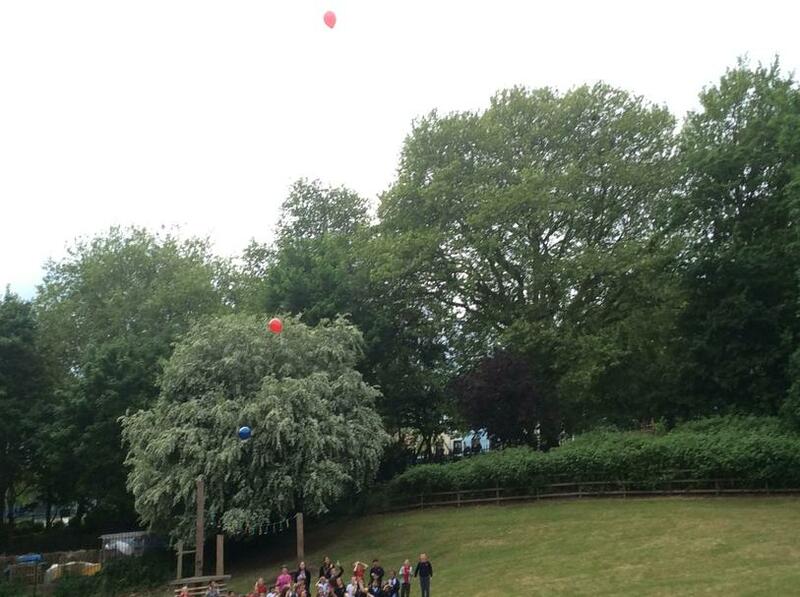 Let's hope we get some postcards back so we can track the journey of our balloons!